Wow. Joe Schobert just completed 3rd season as pro. 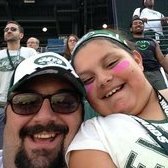 And ah, Jets said no to Blake Williams and it become an issue between Gase and his pop. What a fun, eh? Wonder what the exact issue was. I’m 50/50 on the story honestly. I don’t think Gase would stop his defensive head coach from building a good staff. I think Jets didn't like Blake's character. 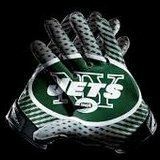 That could mean he will be on very very short leash with Jets. Blake better stays rationally for the sake of his pop being Jets DC. Can't afford some childish crap in Jets organization. Antonio Brown's situation may be inaccurate. umm Still, he is easily a distraction at every aspect. Browns sign Kareem Hunt. Interesting. I was wondering that myself. Bc Hunt will get suspended... it makes it unclear. Technically they'll need Duke while Hunt is suspended. You never know though. Yeah, maybe he’s a deadline guy. Although maybe they add a JAG as a backup and make Chubb the workhorse. We’ll find out. Bills signed Spencer Long. Even funnier, a lot of Bills fans are praising the signing. LOL.... wow. And i thought our fanbase was hard up for O line talent. Yea, when consider they have Chubb, who avg. 5 yards per carry. And Spencer Long sign with the Bills. And Antonio Brown sad go by to the Steelers. I guess about this time of the day Macc is on his tenth cup of coffee. Sooooo....KK saying how Fuller should be No. 1 overall pick. Rosen does not seem to be his type of dual threat QB. Anyone else thinking #1 pick is for sale? Of course he is going to say Rosen is his guy. Rosen is there and they just spent a 1st round pick on him last year. What is he suppose to say? Still does not change the fact that Rosen is not in the same type of player as Mayfield or Mahomes or even Keenum who KK had success with. Unless KK is going to have a system that is pure drop back / play action, which is different then his college scheme, Rosen is not the best fit. Don't see Rosen as a great RPO QB. Just food for thought as it seem pretty clear KK will have to develop the more traditional NFL system for a guy like Rosen - which IMO would go against why Arizona hired him. I see KK operating more of a Sean Payton style in the NFL than a RPO like he has.